Do you know how to write code? Do your kids? Just a few days into 2014, and thought I’d take a moment and share one of the things I’m working on for 2014 – coding. Over the years, I’ve accumulated a very basic, patch-work knowledge of things like html, php and css, having messed around with them on a variety of website projects, but I’ve never really spent time focused simply on learning these or other programming languages from top to bottom. Knowing how to code is an increasingly essential skill. It’s not just something professional programmers must grasp; it’s increasingly important for everyone to know. Code is the language of the future Literacy in that language is critical… which is why my kids are learning with me. Everyday this year… ok realistically most days this year, we’re going to spend 20 to 30 minutes working together on learning how to code. 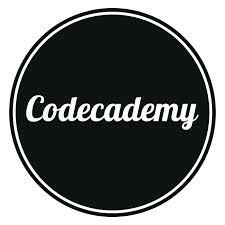 We’re starting our coding adventure by using the resources available for free on the website Codecademy. Yep, in addition to reading books like Harry Potter together, taking hikes, playing games, or working on homework problems, we’re going to learn html, css, php, java, ruby, python, and more. What that means is that we will spend a little less time watching TV or playing Wii and a little more time learning something valuable… together. Not only do I hope this daily coding regimen teaches my children the valuable skill of learning to write computer code, but of greater importance, I want them to understand the value of life-long learning. I want them to see me learning with them and to appreciate the idea of the beginner’s mind. I hope to teach them that education is not something that is limited to what happens during the day at school nor is it the responsibility of others. Education is about choosing to open your mind to the beauty and wonder of the world around us each and every day. It is about the joy of exploration and the desire to understand our world and all that is in it. Education is a gift and should be treated as such. We’re so fortunate to live in a time where we have easy access to vast amounts of human knowledge. Whether it’s learning code, studying a foreign language (which we’re using duolingo to do too), exploring music, art, or big ideas, building mathematical abilities (see Khan Academy), there is always something to learn. I’m excited to continue on our latest educational adventure into the world of code. I can’t wait to discover new bits of knowledge, build some new skills, create some cool new projects, and see where the journey leads us. Bonus: Here’s a post from Lifehacker with great list of online courses you can take for free!